The Lutheran Church is a liturgical church. Within its long history, the role of the liturgy as it has been handed down through the centuries has had varying degrees of influence. The liturgy is not uniquely Lutheran, but transcends confessional boundaries. Nunc dimittis (We respond with hearts filled with peace). Already in the fourth century, readings were gathered together for this purpose. Initially, the readings were arranged in a continuous fashion, with each Sunday's texts picking up where the reading had concluded the previous week. For the festival half of the church year (Advent through Pentecost), readings were eventually assigned that reflected the theme of the day. The historical Christian church has commemorated the days and seasons of special occasions. This follows the example set in the Old Testament of structuring the year around the marvelous acts of salvation that God completed for us in his Son, Christ. We call this structure the “Church Year”. 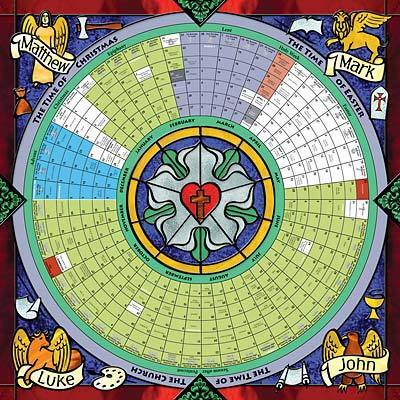 The seasons of the church year are marked by certain liturgical colors. We baptize infants, children, teenagers, and adults as we were commanded to do by Jesus. The historical Christian Church has always taught that baptism is for everyone, including infants. The Bible teaches that infants are born sinful and are in need of forgiveness. Scripture says nothing about an "Age of Accountability" that begins at the age of reason. Its message is that accountability begins at conception. David confesses in Psalm 51:5, "Behold, I was brought forth in iniquity, and in sin my mother conceived me." The Bible teaches original sin, that the corruption and guilt of Adam's sin is passed on to every human being at conception. Jesus affirms this teaching when He says, "Flesh gives birth to flesh" (John 3:5). Infants should be baptized because – like all of us – they desperately need forgiveness. Baptism is God's special means of grace for children by which He causes them to be born again. To keep them from baptism is to keep them from forgiveness and to endanger them with damnation. Babies not yet born can also be saved by the hearing of God’s Word (Romans 10:17). We urge all expectant mothers to regularly and frequently receive God’s gifts through Word and sacrament. 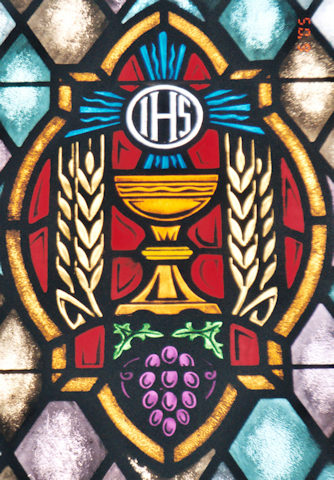 The Lord’s Supper is celebrated at this congregation in the confession and glad confidence that, as he says, our Lord gives into our mouths not only bread and wine but his very body and blood to eat and drink for the forgiveness of sins and to strengthen our union with him and with one another. Our Lord invites to his table those who trust his words, repent of all sin, and set aside any refusal to forgive and love as he forgives and loves us, that they may show forth his death until he comes. Because those who eat and drink our Lord’s body and blood unworthily do so to their great harm, and because Holy Communion is a confession of faith which is confessed at this altar, any who are not yet instructed, or are in doubt, or who hold a confession differing from that of this congregation and The Lutheran Church – Missouri Synod, and yet desire to receive the sacrament, are asked first to speak with the Pastor, an Elder or an usher. 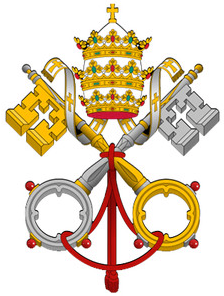 Each Order of our Divine Service includes corporate confession and absolution. We have retained the practice not for the sake of the Law (that you must remember and confess every sin), but for the sake of the absolution, the good news (Gospel) of Christ’s saving work for us. Private confession and absolution is available on request. Private confession and absolution is used by pastors to bring forgiveness and healing into the lives of those who come to them with troubled and anxious hearts. Confirmation is a public rite of the church preceded by a period of instruction designed to help baptized Christians identify with the life and mission of the Christian community… Prior to admission to the Lord’s Supper, it is necessary to be instructed in the Christian faith (1 Cor. 11:28). 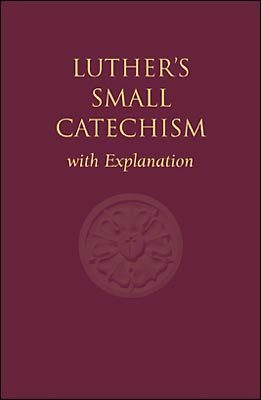 The rite of confirmation provides an opportunity for the individual Christian, relying on God’s promises given in Holy Baptism, to make a personal public confession of the faith and lifelong pledge of fidelity to Christ.” [Luther's Small Catechism with Explanation (St. Louis: Concordia Publishing House, 1991), 245]. We welcome everyone who desires to learn more about Lutheran theology to complete adult instruction. Please contact Pastor Skelton for more information. Holy Cross Lutheran Church conducts Biblical marriage ceremonies for communed members of the LCMS who complete marriage counseling. Please contact Pastor Skelton for more information. Funerals or memorial services are for the sake of the living, and the focus is on proclaiming the Gospel of Jesus Christ to them. Please contact Pastor Skelton for more information.